The epitaph reads: His soul lies here forever, beneath the grass so green, not even hell would have him, cause he was so damned mean!!! I went home recently for Thanksgiving. Before I went, my grandmother (Nanny) made me promise to spend a day exploring. Specifically, she wanted me to see a headstone in a cemetery near where I grew up. I do know the book is very interesting. I sure don’t know what is true and what isn’t, but it’s a captivating story either way – especially if you are familiar with some of the people and places in the book. I can’t say it’s a well-written book – it looks more like a first-draft manuscript, but I think that’s part of its charm. I do know that the books that are still out there for sale are expensive. I’ve seen them listed from $69 to $200 over the last few years. My cousin Lindsey and I are always fighting over Nanny’s copy of the book. We say it’s one of our few family heirlooms… along with the silver tea pitcher that we used to make Kool-Aid in when we were kids. So, I was excited to find a copy of the book for $9.99 on ebay recently. I snatched it up before Lindsey found it and if she’s lucky I just might let her borrow it. I do know that the headstone pictured on this here website is located in the Rufe, America cemetery. It looks real to me and I sure don’t think that nice guys get epitaphs such as the one printed on that headstone. So, I can only assume he wasn’t an all-around nice guy. I do know that I’ve read the book several times and I’m glad I didn’t grow up in the 1800s. No way. If even one thing in the book is true, and I had been living in the 1800s, I would have sat down and cried my eyes out. Then I would have taken out my Iphone, ordered a pizza and watched some reruns of the Real Housewives of New York City. I love progress. I do know that Nanny and I enjoyed looking at the sites from this book. Nanny, on her front porch. I also know that my Nanny will never speak to me again if she knows I have posted this picture of her. So, if you read this, and you know my Nanny, please do not mention that there is a picture of her on this site. Lindsey, I’ll even loan you that book if won’t tell. listen… i get the book before lindsey, or i go straight to nanny. she has your old phone number, right? LOL Angee! I dare you to call my Nanny. She’ll talk your ear off for sure! Yes it is a good read. Inheritance you say. Who’s in line first. HA! Merry Christmas. Let me see……I think I have Nanny on speed dial. Yep, shes not real happy about the picture!!!!!!! Hand it over LADY! Misti…that is such a good picture of Sue. How many times have I seen her stand in that exact pose when she was standing in the kitchen door and we were setting out under the tree at the old white iron table in lawn chairs! Makes me smile…. The headstone is in fact in Ruff Oklahoma, I was there today and saw it. My Dad was born in Rufe in 1923, He was delivered by Doc Barnett. My dads middle name was Craft and George Craft was one of his uncles. Dad remembers the stories about Phil Lunsford and his legendary meaness. Dad seemed to think Phil was so hated he was buried outside the cemetary in a shallow grave. How ever the Headstone pictured above is indeed in the Rufe Cemetary, it stands not to far away from my Grand Parents headstones. I have read the book, it was a good read. Its to bad that there are not more people that have written about the way they grew up and things that they saw in our neck of the woods. This old place was an outlaw nest with all the people who made whiskey. 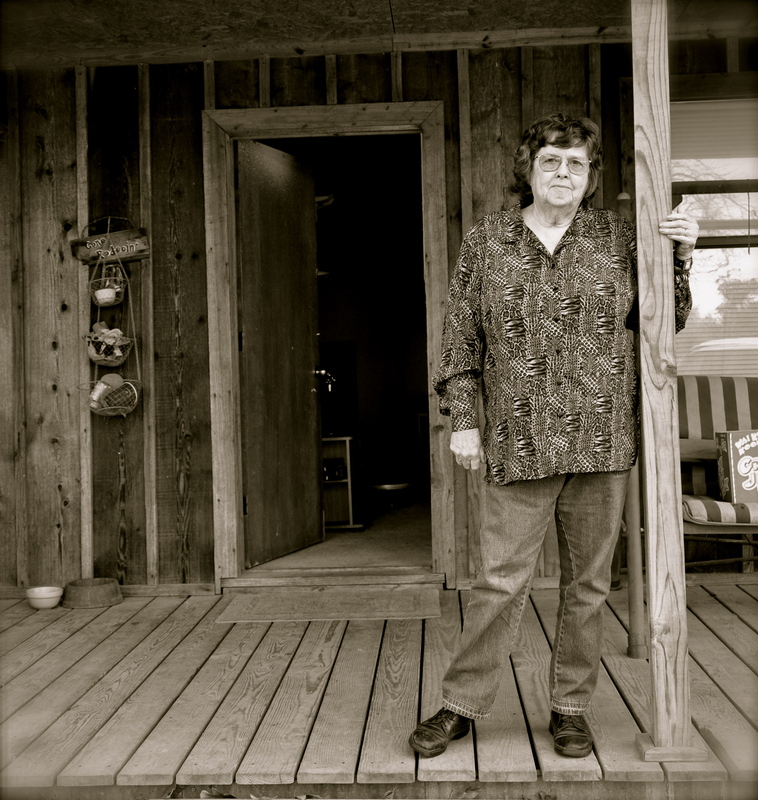 It was the way things were here in southeastern Oklahoma. I would have loved to had a copy of the book. I think there is a lot of conflict about the people that were in it but I think they should let it rest. It was the way things were done and is what it is. My husbands great grandfather was killed by revenuers at an old whiskey still. It was’nt his still he was collecting money for sugar he sold. We don’t mind. Again it was just they way it was back then. Wish we could find a copy of the book to keep. Misti, I recently came across your blog but it’s kind of old so I am not sure you get replies or check it anymore. My name is Tricia, my grandmother recently passed away and we did not know a lot about her family and what we did know was false. Come to find out her father, my great-grand father was in this book and was not a very nice man to say the least. When she was a little girl she heard her father in the next room say he was going to kill her that night because he couldn’t afford to feed her. She lived to be 88 and needless to say he didn’t make it through the night. Do you have any idea where I would be able to get a copy or even see it online of course a hard copy is better but just to see it and the pictures would be worth it. My grandmother never wanted any of her family to know where she came from and she even make her nephew promise even after she died still not to tell anyone. Thank you so much for writing this, it’s just one more lead to my family history as I was unaware of Phil Lunsford. Is anyone on this blog anymore?? 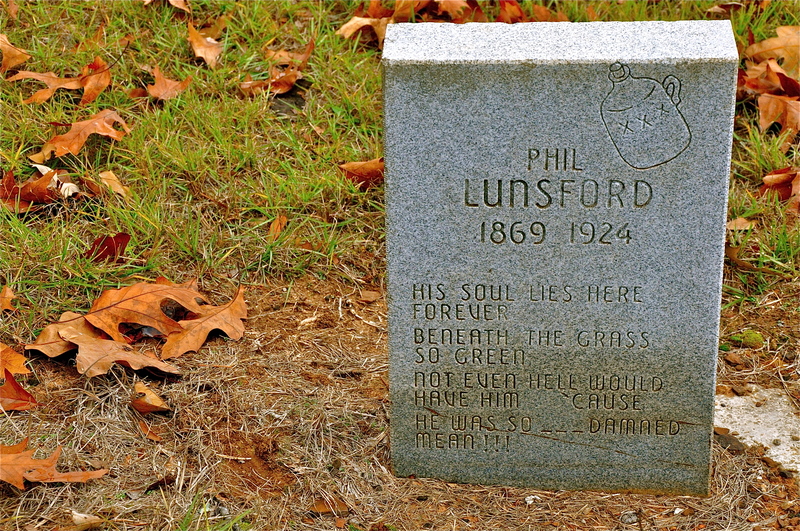 Phil Lunsford is my great, great, grandpa. Am trying to find a copy of the devils jug crying tree & me for my brother on dialysis Can anyone help? Hello, I stumbled across this blog somehow 6 years after publication… I am from McCurtain County born and raised. My great great grand “something” was mentioned briefly in the book. I found a copy in my grandpa’s possessions when he passed away more than 17 years ago. I fell in love with it and still to this day have it in my collection, signed. I would love to have a copy of the book, if anyone knows how to get one please let me know.